Grand Canyon University appears in our ranking of the Top 10 Online Master’s in Accounting Degree Programs. 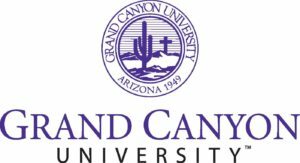 Grand Canyon University offers a Bachelor of Science in Accounting prepares graduates for careers in various accounting roles. The program covers auditing standards, ethical issues, theories and practices regarding income tax preparation, job order costing, budgeting and the preparation of financial statements. The program is available both on-campus and online. Students gain an understanding of communication, information literacy, and data analysis as well as business operations and environments along with legal, ethical and values-driven business practices. They are also provided a basic understanding of marketing, economics, financial, managerial and cost accounting. The program covers organizational and behavior management, business finance and statistics along with production, operations, and strategic management. The Bachelor of Science in Finance at Grand Canyon University prepares graduates for careers in the world of finance. The program provides knowledge in evaluating investments and determining benefit alternatives. Students also gain an understanding of financial markets on a global scale. The program includes instruction in interest, stocks, bonds, securities, portfolios, trade relationships and global finances. Students learn to use accounting records and financial reports to make decisions. During the program, they study economics, banking, and financial markets, trade, investments, portfolio management, securities and risks along with accounting procedures, financial statement preparation, auditing and tax preparation. Grand Canyon University offers a Master of Business Administration with a concentration in accounting. The degree is available on-campus and online, providing foundational knowledge and skills that employers will value. Students are provided instruction in economics, marketing, financial reporting practices, and bookkeeping. They also receive instruction in advanced financial statement analysis and financial accounting plus applied business probability and statistics. Leadership and organizations, as well as finance principles, are also covered. Students are also provided an understanding of microeconomic and macroeconomics as well as how to define and formulate strategy within their organization. The program explains methods that streamline internal processes along with how to use in-depth analysis and interpretation of financial reports to build growth. The Master of Business Administration at Grand Canyon University prepares students for management positions in the world of finance. The program is available on-campus or online and provides an understanding of financial strategies, investments, and corporate efficiency. The program has a strong Christian focus, creating graduates with strong ethics and integrity. Students learn ethical leadership, critical analysis, communication, and innovation. They also gain an understanding of finance principles, accounting practices, investments, and advanced financial strategies. Grand Canyon University began as Grand Canyon College in 1949 with 16 faculty and only 100 students. The first campus was located in Prescott, Arizona but moved to a 90-acre tract in West Phoenix in 1951. The school was initially created as a Baptist institution focusing on religious studies as well as education. Over the years, the school added sciences, nursing, business, music, and fine arts. As programs were added, Grand Canyon College began identifying landmark events and organizing programs into departments as well as colleges. During this period, a Foundation was formed by donors who pledged or gave unrestricted gifts of over $1 million. In 1984, the school gained university status and moved from being operated by the Arizona Southern Baptist Convention to a self-owned university with a board of trustees. In the early 2000s, the school was facing financial difficulty and, by 2003, was facing closure. A small group of investors purchased the school and refocused programs to online learners. In 2008, a new leadership team created a hybrid campus strategy with both on-campus and online courses designed for working adults. Although the programs offered at the school are offered in an on-campus, online or hybrid format, the University continues to offer degrees that are based in Christian faith. Students who wish to attend classes on campus must complete an application and interview with an admission counselor. They must submit official transcripts and visit the Grand Central University main campus in Phoenix. It is there that they work with an admissions counselor to plan their course schedule. Students who wish to attend online must complete an application form and speak to an admissions counselor. They must provide official transcripts from all colleges and universities attended as well as official high school transcripts. Once the application is received, an admissions counselor reaches out to the student to plan their course of study. Graduate admissions are based on unweighted GPA as well as GRE or GMAT scores. Transfer students must have at least a 2.25 GPA and at least 25 transferrable credits. On-campus tuition at Grand Canyon University is $687.50 per credit for undergraduate students. Online tuition is $449 per credit for business undergraduate programs. Graduate programs are $575 per credit on-campus and $515 for online programs. Financial aid is available and students must complete the Free Application for Federal Student Aid (FAFSA) in order to qualify. Students may be offered scholarships and grants which are gift aid that does not have to be repaid after graduation. Students may also be offered student loans but it is important to remember that loans must be repaid upon graduation. In order to remain eligible for financial aid, students cannot have a break in attendance greater than 14 days and may not drop below half-time status. They must also continue to meet federal grade level standards. Grand Canyon University has offered a wide range of programs that are available online, on-campus or in a hybrid version. All programs are offered with a strong Christian focus, creating graduates with strong ethics.